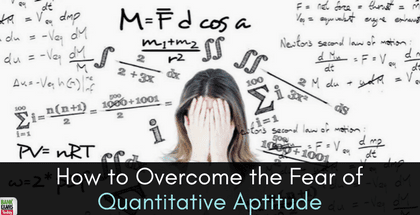 We all know the role of Quantitative Aptitude in the whole process. Being one of the important subjects in both Preliminary and Mains, it becomes really crucial to master the skills. Let us discuss the chapters that one should definitely get well versed with. This not all, the same goes for RBI Grade B which is just a month away. Now you all must be thinking that the same syllabus is available everywhere and what is new in it. The answer is yes, it is no different from past year syllabus but have you ever thought that it is still hard for most of us to get more marks in the same. Yes, friends, this exam is such that even if you master one subject, you will have to attempt other sections as well in order to cross the individual cut-off. But friends, the main motive is to clear both individuals as well as an overall cut-off in order to get selected. Below is the graph depicting the break-up of this section in the past and we can expect the same in the future. From the given pie chart, it is clear that the DI will command the quaint area in the exam. So it obviously recommends that you ought to enhance your Calculating velocity. It may appear to be senseless now of time yet can have a colossal effect. You ought to likewise make a technique to follow in the exam. Look at the previous year cut-off where the paper was a bit difficult. These five questions are the easiest of all the quant section. If a candidate gets a hard grip on such questions, at the point they can easily do it within 3-4 minutes. If they are taking longer than this, at the point, you have to start practicing because these couple of minutes can save you from a big trouble. This part is extremely vital from a candidate’s point of view. For attempting DI, a candidate should be well versed with Percentage, Average, Ratio-Proportion as well as Calculating speed. This is what you have to solve DI. And those candidates who feel like they haven’t practiced missing DI, at the point there is no different from normal DI. So those candidates who see it distinctively have no reason to get afraid of. Out of 20 questions, 12-15 are the possible ones. This does not mean that the rest 5 is not possible. This just implies they will take additional time which we have no liberty to lose. Series and Probability are one of the parts of this section which can be done in less time and believe me, friends, the time is the real deal in the exam. To outperform others in the exam, candidates should know what to attempt and what to leave. Out of 10 questions in Series and Probability, 6-7 can be done easily. Again, the time will be the factor in the exam and your attempts will depend on the difficulty as well. The above-mentioned strategy can be followed and if you feel like accomplishing something different, at that point we might want to recommend that do practice it at home on the grounds that experimenting in the exam may get you in a bad position. This strategy is based on person to person. We would just like to state that Practical Assumption is always harsh than Theoretical Assumptions. So just hope for the best and give your 100%.